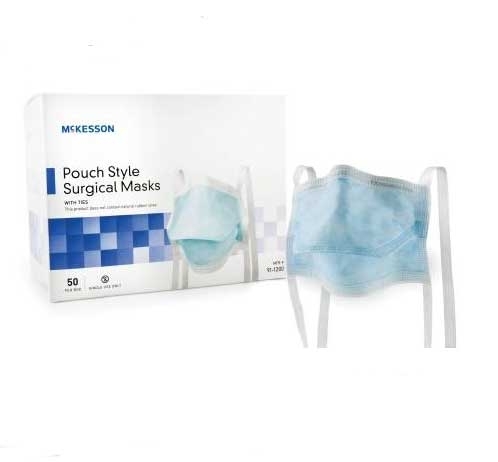 McKesson Pouch Style Surgical Masks with Ties are a one size fits all mask . 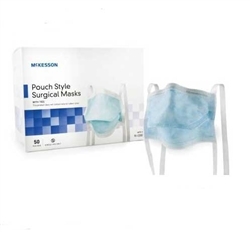 The push style design is comfortable and provides added coolness and breathability added by the deep fold, which holds the mask away from the face. They are blue in color and disposable. They use classic style ties to secure to wearers face.